Sea Parsley is a beachy native that, like young celery shoots, may be used as a flavoursome herb or vegetable. It played an important role for early Australian settlers: eaten by Captain Cook and his crew to prevent scurvy, and regarded as a survival food among the Sydney colonists. Sea Parsley can be found growing wild along the southern coastline of Australia. A close relative of European parsley, this plant adds a peppery zing to any dish, much like the parsley and celery you find in the supermarket. As a coastal plant, growing amidst the sand, salt and composted seaweed, Sea Parsley carries hints of ‘ocean’ in its unique flavour. Use it as a garnish, finely chopped or in sprigs, to flavour soups, salads, and chicken and seafood dishes. Stems may be enjoyed fresh or blanched (to temper the strong flavours), while seeds may be used as a condiment or cooking spice. Harvest Sea Parsley the same way you would harvest celery or parsley — pick stems often from the main plant throughout the growing season, or pull out the entire herb by the root. This drought-tolerant, frost-tolerant plant loves the sun, but, like other herbs, can still thrive in dappled shade. Choose a soil or potting mix that drains easily, and water well throughout the year. Like Italian parsley, the leaves start out light green and darken as they mature, stemming outward from a long tap root. Small white flower clusters will provide ample seeds toward the end of Summer. Sea Parsley grows between 30cm and 50cm high, spreading out up to 1m in diameter. As it’s such a useful herb, we’d recommend growing it in a tall pot within reach of the kitchen, or along with other herbs in a backyard potager. 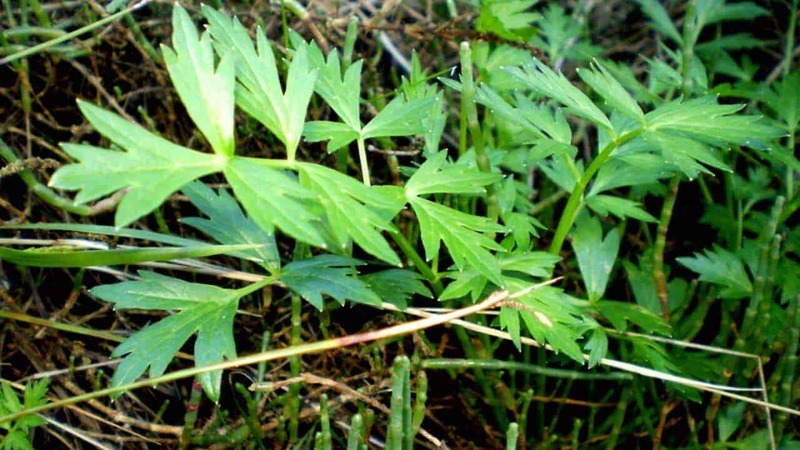 Should I fertilise Sea Parsley plants? Yes! Keeping your Sea Parsley well-watered and regularly fed with yield a plentiful supply all year round. Use an organic herb & veggie fertiliser, cured bokashi compost, or worm castings, applied liberally every 3 months. Why are my Sea Parsley leaves turning yellow? At worst, yellowing leaves may be a sign of fungus, blight or spider mites. But don’t panic yet. If you haven’t noticed any black or white fuzz on your plant, this may just be a case of waterlogged roots. Ensure your soil is draining freely after each watering, and if growing Sea Celery indoors, empty out the water catchment tray more often. What are these white strands between my Sea Parsley leaves? If these strands are accompanied by tiny dots scattered around your plant, your Sea Parsley is probably under attack from spider mites. Spray your plant with Neem Oil or low toxic soap spray as per instructions on the bottle.